This statistic presents a ranking of the topics most commonly subjected to online trolling according to internet users in the United States. 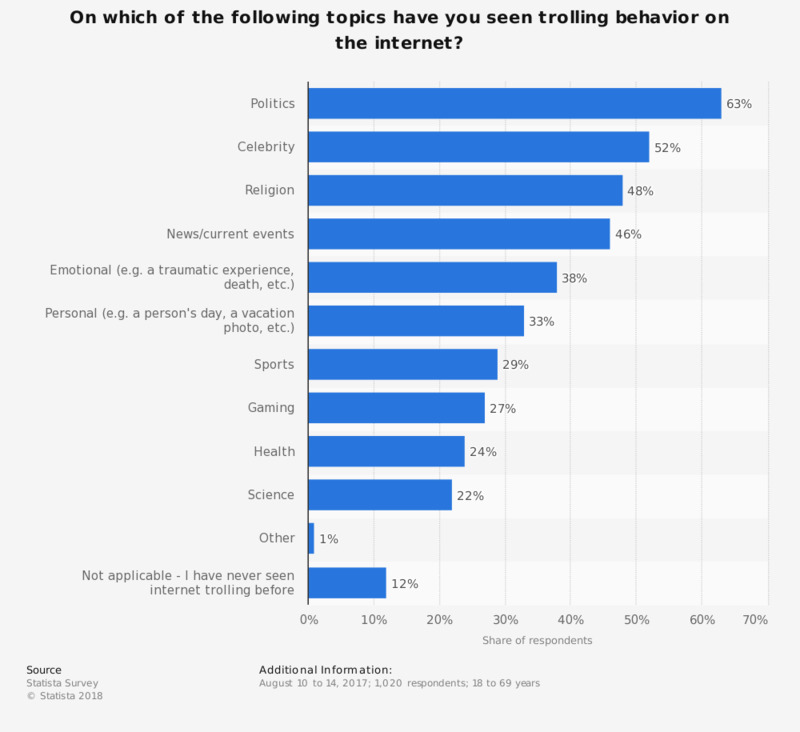 During the August 2017, 63 percent of respondents stated to having seen trolling behavior directed towards political content online. Original question: On which of the following topics have you seen trolling behavior on the internet?